Before discovering solid toiletries for travel, pouring my liquids into 100ml bottles every time I jumped on a plane was something I hated. Not only because getting thicker liquids in to tiny bottles is a pain (looking at you, sunscreen), but it means you run out of your favourite products quickly and have to find replacements in foreign countries, and it doesn't always work out for the best... I once had to find exfoliator in Thailand. I’m a paste-queen, and all I could find were whitening products. It was not ok. But then I discovered solid toiletries, my world transformed, and yours can too! Before we go on this travel-friendly beauty journey together, you’ll need to detach yourself from the mainstream beauty companies. I know. I too used to love Tarte, Palmers, Dove, and a bunch of others, but sadly, they don’t actually care about your skin. They care about whether you’re buying more product. I used to buy products for skin smoothing, toning, reducing redness, acne, and moisturising, and sure, they worked for a while, but my skin would always get used to the products and I’d be back to square one. Every. Single. Time. It wasn’t until I started looking for natural products that I began to realise there are actually natural, fail-safe ways of looking after your skin without walking in to Sephora or the drug store. The best part? Most of these products aren't liquids, so you can shove them in to your carry-on without having them confiscated at the x-ray machine. This stuff has been handmade in Africa for a long, long time. It's 100-percent natural with no chemicals, it's cruelty-free and vegan, keeps acne at bay, and it lasts forever. Well, maybe not forever, but to wash your face you only need to pinch off the tiniest bit (don’t submerge the whole thing – it’ll turn to mush), so one block can last a year . The one I have is below, but if you’re looking elsewhere, make sure it contains plantain skin, shea butter and ash. It should look brown, chunky, and generally unappealing. There are a lot of knock-offs, and a lot of beauty companies have tried to make it look pretty, buuut that isn't the real stuff. Real African black soap looks like something you don't want to touch. NOTE: African black soap traditionally contains palm oil, so it's important to choose one that uses sustainable palm oil, or none at all. The product below doesn't contain palm oil at all. I hate to think about what Clearasil toner did to my skin. It always smelled so alcoholic and left my face feeling so, so dry. And it’s not only Clearasil – a lot of toners are full of alcohol because it’s an antiseptic and ‘treats’ acne, but alcohol is really harsh on your skin, and will affect your complexion negatively in the long run. The options below are natural ways of achieving the same results, but actually good for your skin, they're at a fraction of the cost, and they're traveller-friendly. Lemon: This one's for people with light skin. I literally get a lemon, cut out a wedge, rub it on my face, let it dry, then rinse it off after a few minutes. I use lemon because I have very pale skin, which means even the slightest hyper-pigmentation on my skin is really visible when I’m not wearing makeup. Lemon is a natural bleach and helps to smooth out my skin tone. It’s also full of Vitamin C, which is excellent for your skin, and it's highly acidic, which can help balance out your skin’s Ph levels. But in any case, I find my skin is a lot brighter and smoother after toning with lemon. There are a lot of videos and articles that say not to put lemon directly on your face because it irritates the skin, but I find it only irritates the skin under the eye, so I don’t apply it there. If you find it too acidic for your skin, you can dilute the lemon juice with a bit of water. Customs officials may not be happy to find a few lemons in your carry-on, but you should be able to find a lemon at your destination. Rose Water: Rose water on its own is excellent for unclogging pores, getting rid of redness, evening out skin tone, and it smells amazing! Put a little bit on a piece of cloth/towel/cotton and rub it all over your face, the way you'd use any toner. You should be able to pick it up from a supermarket or a Middle Eastern grocer, but failing that I have a link below. I know this is a liquid, but you really don't need to use much – 100ml should last you a long time. Apple Cider Vinegar: This is good for balancing your skin's Ph levels, evening our skin tone, and unclogging pores. Rather than putting straight apple cider vinegar on my skin, I fill 1/3 of a 100ml spray bottle with acv, top it up green tea, and add a few drops of lavender, or any essential oil I have lying around. As with the rose water, use it as you'd use any toner, and a little bit goes a long way. I know coconut oil was all-the-rage in 2013 and most people probably think that ship has sailed, but coconut oil is the only thing I’ve found that consistently leaves my skin feeling moisturised, hydrated, and fresh. Every. Single. Time. After cleansing and toning, get a really small amount of coconut oil (enough to coat your thumbnail) and rub it into your face. You need just enough to very thinly cover your face – if you feel like you don’t have enough to go the distance, that’s probably enough. If your skin feels really oily afterwards, you’ve used too much. I know this one has to go in a 100ml bottle, but a little bit goes a long way, so that amount should last you a long time. Use cold-pressed oil for the best results – the less it’s been processed, the better. It should still smell like coconuts. You can usually find it at your local supermarket or health food store. This thing is Amazing. Hands-down amazing. I will never use anything else again. Ever. It’s transforming my skin into its best self. 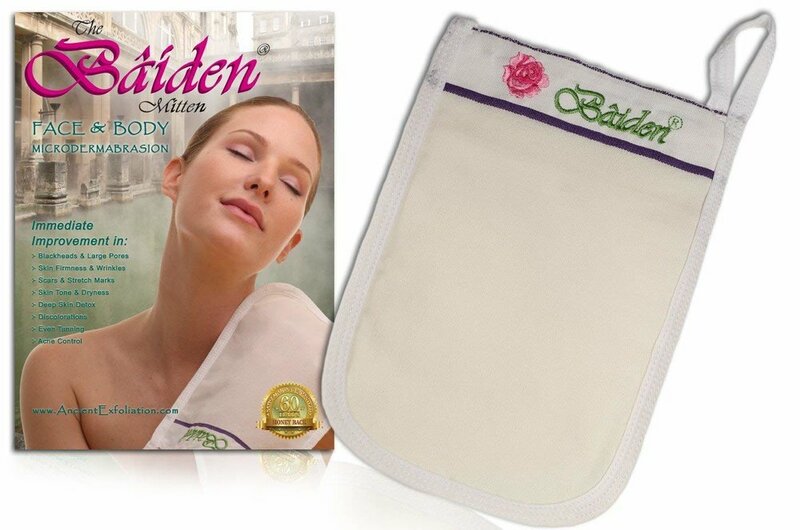 The Baiden Mitten kind of acts like microdermabrasion, which is a cosmetic process that involves scrubbing off the top dead layers of skin to reveal the bright, new skin underneath. It also forces the body to send blood to the treated areas, which heals the skin and causes new, healthy skin cells to replace the old ones. Microdermabrasion works, but it’s recommended that you get this done regularly to see results. For the rest of your life. The cost adds up. Cue Baiden Mitten. It’s a mitten made from tree fibres in Hungary (I know what you’re thinking – wait for it) that literally removes the top dead layers of skin while you’re in the shower. It doesn’t hurt, pull out your hair, or cause any damage – it just does what a microdermabrasion session does, but it only costs $50 and lasts for two-years. It also helps keep acne at bay, gets rid of fine lines, shrinks pores, evens out your skin tone, and smooths your skin so much you won’t be able to keep your hands off it. The mitten itself is extremely light-weight and will fit in the tiniest corner of your bag. Not the fancy kind you find in a tub that smells like cocoa pods, I mean a real chunk of shea butter from a shea tree. Packed with Vitamin E and fatty acids that help your hydrate your skin and repair damage, shea butter can reduce skin inflammation, relieve sunburn, reduce stretch marks, has a host of anti-ageing properties, and has a very mild UV filter. You can also melt it down and use it as a deep conditioner for your hair, and mix it with essential oils to make a lip balm. The only thing you shouldn’t do is put it on your face – it’s quite thick and will clog your pores. Real shea butter doesn’t smell like much, comes in a large block, and has one ingredient: shea butter. When I travel, I cut a bar-sized rectangle of butter, put it in a soap container, and throw it in my bag. It’s a solid, so security won’t take it from you. I used to use commercial shampoo with loads of alcohols and sulphates, and hair was so dry and damaged it was ridiculous. I couldn’t figure out why, until I looked in to it and realised I was washing my hair with detergent. After I switched to more natural products, my hair transformed. I have curly hair, so I carry around two kinds of shampoo bars – one is curly girl method-friendly, the other is a largely-natural shampoo bar from Lush, because my hair does need to be washed with sulphate from time to time. If you don’t know what I’m talking about, Lush shampoo bars contain sulphate, which is a detergent. The kind you’d wash your dishes with. It’s what causes the lather in most shampoos, and it’s very drying for your hair. When used too much, it can cause split ends, breakage, and weaker, more brittle hair overall. Curly hair is more prone to dryness and breakage, which is why sulphate is basically forbidden in the curly girl method. Having said that, washing your hair with sulphate all the time probably isn’t good for anyone’s hair. If you hair’s perpetually dry, consider switching it up! Did you know you can get more than 100 washes out of a single shampoo bar? If you washed your hair twice a week, one bar would almost last you a full year <gasp>. It’s about a million times better than a bottle of liquid that might last you a few months, or a 100ml bottle that might last you a week. When travelling to a different country, it’s always good to bring a regular conditioner for weekly use, and a deep conditioner for monthly use. 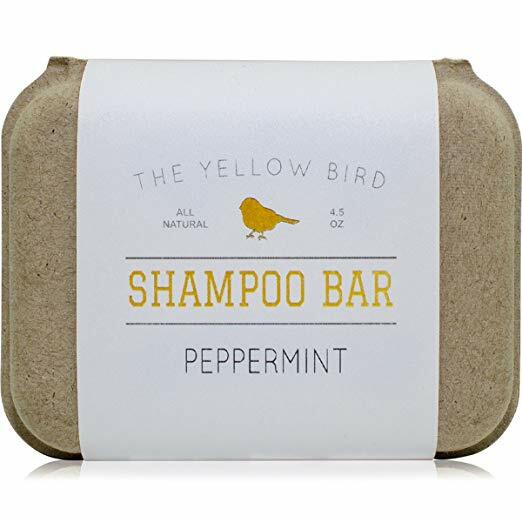 This helps keep any damage caused by excessive sun exposure, humidity, hard or polluted water, or anything else you might get in your hair while backpacking in a foreign country. I didn’t bring any kind of deep conditioner with me to Asia where there’s hard water, and my hairdresser was horrified when I got back. Now I always bring a small bottle of deep conditioner. I use Deva Curl Deep Sea Repair. When buying conditioner, you want to watch out for alcohols, sulphates, and silicones. Alcohols and sulphates are drying, and silicone is like a plastic that coats your hair. It makes your hair shiny, but it also builds up in your hair and makes it lifeless, and stops moisture from getting into the hair shaft. When I was using silicone conditioners, my hair was dull, lifeless, dry, my curls were flat, and nothing I did moisturised it properly. As soon as I started using natural products, my hair bounced back to life. The transformation has been amazing. The only thing that removes silicone is sulphate, but then silicone is used to treat sulphate-damaged hair… You see where I’m going with this – it’s a vicious cycle. Just avoid it altogether. Solid conditioners haven’t really caught on yet so, unfortunately, there's only really one I'd recommend. If you're not keen on that, you might have to divide your liquid in to separate bottles for this one. Lush do make solid conditioner bars, but they have very mixed reviews and, for whatever reason, the bars contain sulphate (why would conditioner – something that’s supposed to heal any damage – contain the very thing that causes damage? ), so Lush get a big FAIL for that one, and they appear to have dominated the market. There is a company in Tasmania, Australia that make solid conditioner bars (you can find them here). I haven’t tried their products because they contain honey and I’m vegan, but they have great reviews. 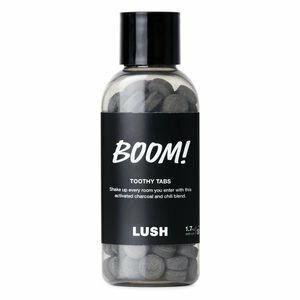 Lush Toothy Tabs are a great alternative. Pop one in your mouth, chew it a little, start brushing your teeth, and boom! It foams and cleans your teeth, just the pasty kind of tooth cleanser. You get around 40 in a pack, so it’s easy to buy as many as you need before your trip. Simply Sooney is a powder that you dip your toothbrush in. I haven't tried that one, but they have excellent reviews. Get a stick of salt-based deodorant. It’ll last forever, and change your life. I find most deodorants wear off at the end of the day, but not this one! It lasts all day (even after 90-minutes of hot yoga), has no scent whatsoever, and all you need to do to activate it is add water and use it on clean skin. They’re SO much better for you and the planet than aerosols and commercial roll-on brands, and they actually work. As someone who burns ridiculously easy, sunscreen has been a staple in my bag for the last 10 years, but realistically, everyone should take up this practice because the sun damages your skin, and it’s your largest organ! You need to look after it. The problem is that sunscreen tends to come in liquid form, and contain loads of chemicals that can also damage your skin (and the ocean, if you go swimming) so I’ve been looking at natural products that are waterproof or resistant, natural, cruelty-free, and ocean-safe, and came across sunscreen bars. I haven’t used them yet, but they have great reviews, and I will definitely be using them as I venture around the world. This is a must if you’re going anywhere hot or tropical – you don’t want anything carrying a disease to bite you. Finding a solid vegan insect repellant was a challenge. Sam's Natural Campn' Stick has a lot of promise but no reviews, Kosmatology has mixed reviews, and Badger Anti-Bug Balm has great reviews but contains beeswax so I can't try it... In any case, they all contain natural, organic ingredients, and they're cruelty-free. I hope these natural products do wonders for your hair and skin, like many of them have done for me, and help you pack more consciously for your next trip. Have you used any of these, or do you have any suggestions to add? Let me know in the comments below!